We are delighted that Patricia Coleman has agreed to boecome VP for Leighlin Area and we wish her well in her new role in Mothers' Union in The Diocese. Patricia was commissioned at the Festival Service in Gorey on Wednesday 16th May 2018. The highlight of the year in Leighlin Area was the formation of a new Branch in Old Leighlin. Linda Ward, VP Ossory, Lilia Harper and Linda Condell represent the Diocese at a service on Sunday 30th April 2017 at which 15 new members were enrolled, three of whom were men. It is really wonderful and exciting to see a new Branch being opened in the Diocese. We had a very special day in Old Leighlin when Phyllis Grothier and Lynne Tembey visited Old Leighlin for a Prayer Service and Tree Planting Ceremony on Thursday 11th May 2017 as part of the MU Way. Over a hundred members from the Diocese and beyond attended this special occasion. Our thanks to the newly formed branch in Old Leighlin for hosting the refreshments after the tree planting. 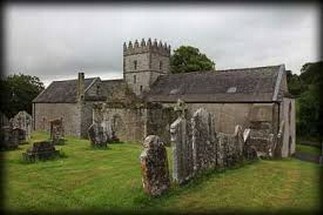 A Prayer Vigil for Ossory/Leighlin Area was held on Saturday 24th November 2018 in St. Laserian's Cathedral, Old Leighlin. The Vigil was led by Dean Tom Gordon and took the form of Hymns and reflections. At the end of the Vigil Claire, from The Women's Refuge in Kilkenny, gave a short talk on the work that is being done at the refuge and thanked everyone for the items of toiletries and other items. Everyone was treated to refreshments after the Vigil. Phyllis Foot from Abbeyleix Branch organises the Diocesan Tour every year. This tour is greatly enjoyed by all who go on it. The 2018 tour took place at the beginning of May and the base for this year's tour was The Sligo Park Hotel. 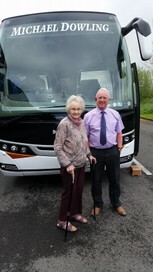 Phyllis had organised a busy schedule for the duration of the tour ~ they visited Belvedere House en route to Sligo. 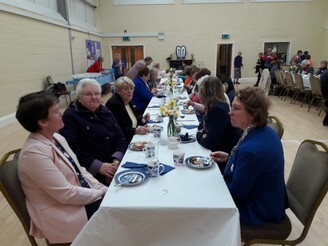 They also visited Lissadell House, Foxford Woollen Mills, Mullaghmore Pier, Kings House Historical & Cultural Centre as well as attending a service of Holy Communion in St. Mary the Virgin & St. John the Baptist Cathedral where the celebrant was Dean Aarfon Williams and meeting some members from Sligo Branch of Mothers' Union. On Wednesday 11th April 2018 members met at the Wednesday Holy Communion service to clebrate the Feast of the Annunciation. Refreshments were served afterwards. On Tuesday 15th May the Branch are having a Flower Arrangement Demonstration in Abbeyleix Parochial Hall. Abbeyleix Branch held their opening service for 2018/2019 in St. Michael and All Angels' Church, Abbeyleix on Wednesday 12th September. The Vigil for the "Sixteen Days of Activism Against Gender Based Violence" took place in St Michael and All Angels' Church Abbeyleix. There was a very poignant display of shoes in the baptistry all bearing quite evocatice messages ... for exampole one sad " I wore these to church and pretended all was OK". Bagnelstown Branch had their opening meeting on Thursday 2nd November 2017. 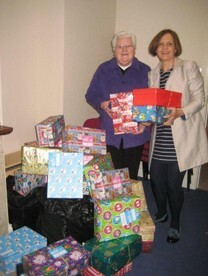 Well done to the members who donated a total of 31 filled shoe boxes to "Team Hope". Carlow/Killeshin Mothers' Union celebrated their 100th Anniversary with a special service on Wednesday 10th October @ 12 noon, 2018. They were delighted to welcome Bishop Michael Burrows as the special preacher for this service. 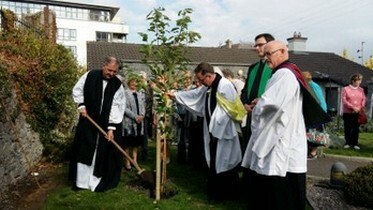 A tree was planted in the grounds of the church to commemorate this special occasion. A reception was held afterwards in Killleshin Old Schoolhouse. Carlow/Killeshin Branch has decided to hold its meetings on the first Wednesday of the month in the Community House at 10.30a.m. This will coincide with the Mid-week Eucharist which on the first Wednesday includes a service of Wholeness and Healing. 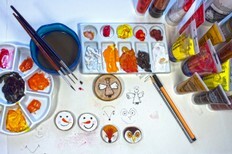 On Wed. 5th December Sheila Murray demonstrated a range of Christmas crafts. The Branch held their Mothers' Union Dinner in the Woodford Dolmen Hotel on Wednesday 16th January. 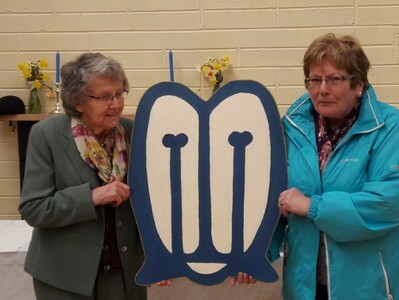 In 2017 when we celebarated 130 years of "Love & Service" in Mothers' Union it was very fitting that two members from Kiltegan/Hacketstown Branch clocked up 130 years of membership in Mothers' Union between them. 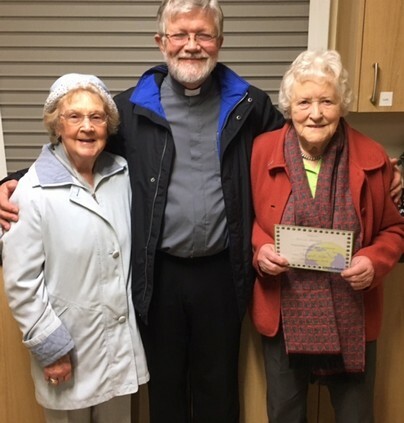 Nora Handbidge and Ruth Hamilton were both recognised at the 2017 Opening Service of their Branch as they had each joined Mothers' Union 65 years ago. Well done, Ladies. Many thanks to Kiltegan/Hacketstown Branch for hosting the Spring Council of Mothers' Union on Tuesday 17th April 2018. 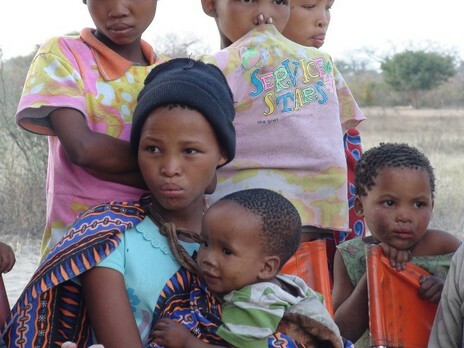 Click on the picture below to bring you to an account of the day and a slideshow of pictures. 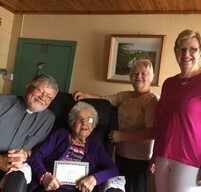 On the afternoon of July 10th one of Kiltegan/Hacketstown indoor members Chattie Jackson was presented with a 55 year certificate for being member of the Mothers' Union by the rector Rev. Robert Jones. Chattie iwas in her 98th year. We were very sorry to hear of the death of Chattie shortly after this special occasion and our thoughts and prayers are with all of her family. The Branch had their Opening Service for 2018/2019 on Tuesday 25th September where two of our members were presented with a certificate for 55 years membership ~ Doreen Gillespie and Evelyn Jackson. See a picture on your left in the photo gallery. The Branch held their Christmas Dinner in The Seven Oaks Hotel, Carlow on Tuesday 11th December and they were joined by Phyllis Grothier, All Ireland President and Revd. Margaret Sykes, Diocesan President. 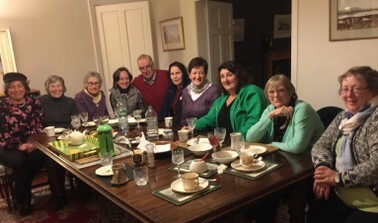 Everyone enjoyed a lovely evening of good chat and delicious food. Welcome to Leighlin Branch, the latest Branch to be formed in the Diocese. On the left are some photographs of the first ever Leighlin Branch meeting at the Deanery on December 14th 2017. 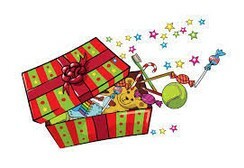 The evening included a presentation by Dee Sewell - 'An Environmentally Friendly Christmas' . 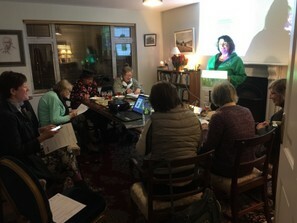 Dee is the County Carlow Recycling Ambassador for Voice Ireland and she gave a terrific talk on recycling waste from the Christmas season (packaging, paper, plastics etc). We then had our casserole Christmas dinner. It was a great evening - terrific fun and a good turnout. A historic evening! Saturday 13th April 2019 @10.30a.m.~ Shankill Castle ~ "In Conversation with Elizabeth Cope". Tullow/Fenagh opening service was on 11th September 2018 in St. Michael's Church, Aghold. 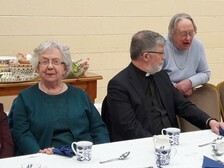 The Serveice was conducted by Archdeacon Andrew Orr and afterwards a presentation was made to him in appreciation for his support for the Branch. 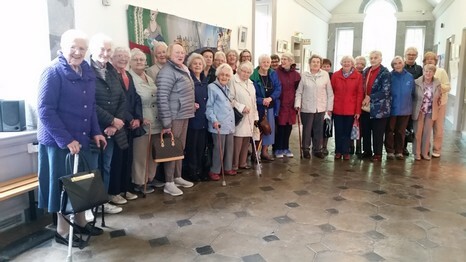 The annual outing took place on Saturday 1st September to Killurney Gardens, Clonmel and Cahir Castle, followed by dinner in The Springhill Court Hotel, Kilkenny. 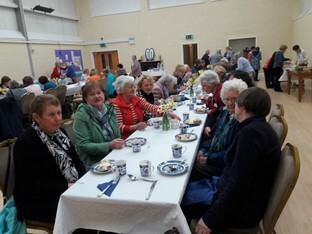 The Branch are very grateful to Jean Binions and Violet Southern for organising a most enjoyable day.